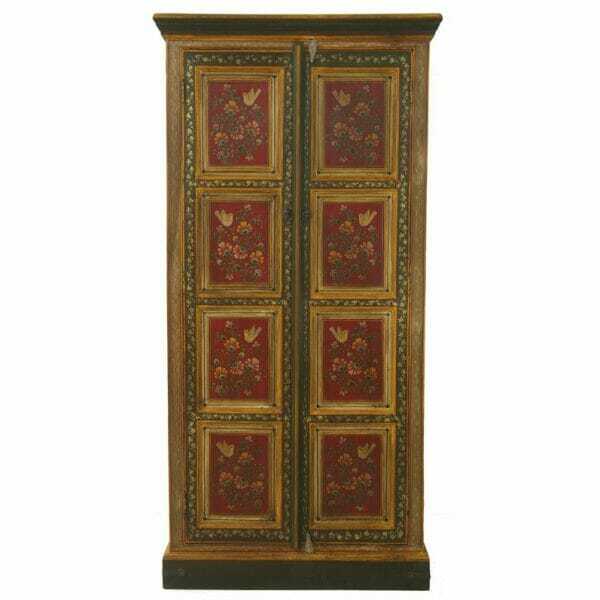 One of our most sumptuous items, this gorgeous, hand-painted red bird panel wardrobe features marvellous detailings of birds and flowers on a red background, all surrounded by delicate vines. 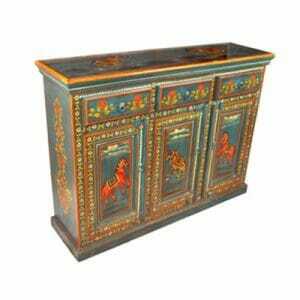 The primary colours of this piece are the deep red and green with bright yellow accents, making this a remarkably exotic piece that evokes the sights and sounds of India. 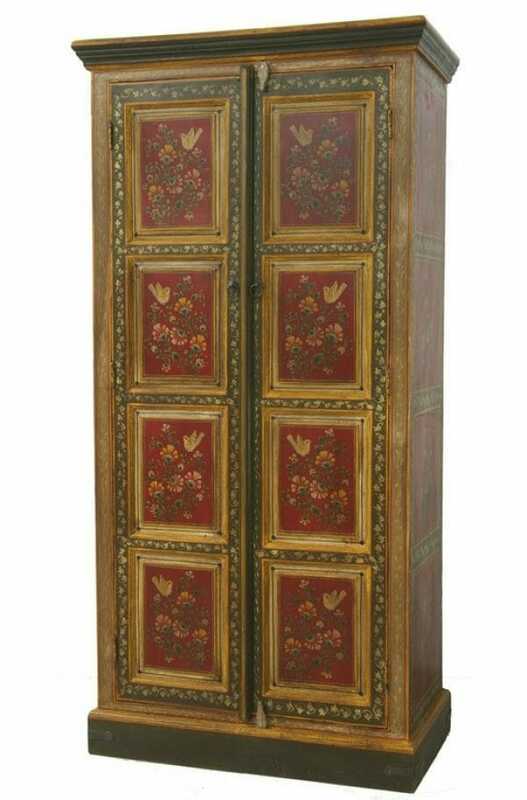 This Indian wardrobe features two full-length doors, three removable shelves and a hanging rail, perfect for storing all of your clothing. 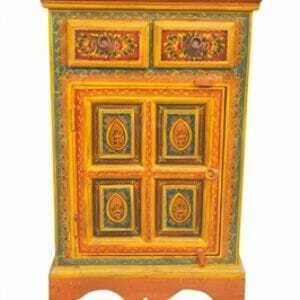 The doors are finished with antique metal ring pulls, and the paint is lightly distressed, giving an overall antique feel. 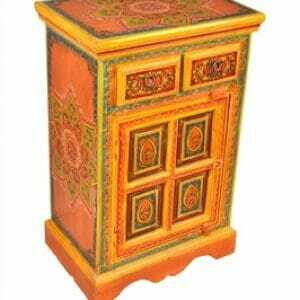 The wood comes from sustainably farmed Indian Mango and Sheesham, making this an item that will remain endurable and beautiful for generations to come. 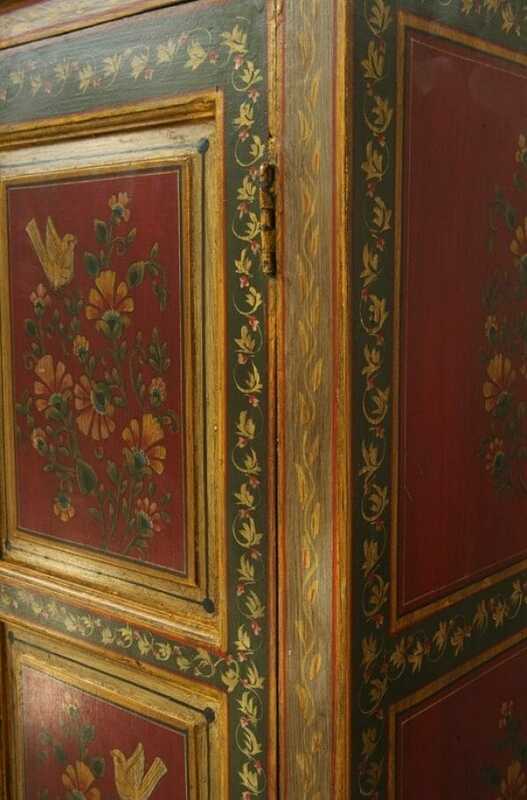 This beautiful red bird panel wardrobe is hand-painted by our artisan craftsmen in Rajasthan, where the centuries-old tradition of hand-painting Indian furniture in this bold and vibrant fashion originated in the palaces of the Maharaja. 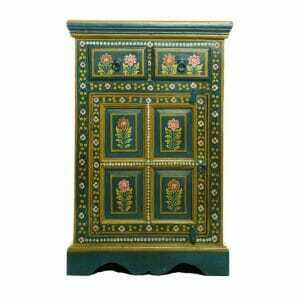 By choosing one of these hand-crafted, unique pieces for your home, you are helping to ensure that this important artistic legacy will endure for another generation. 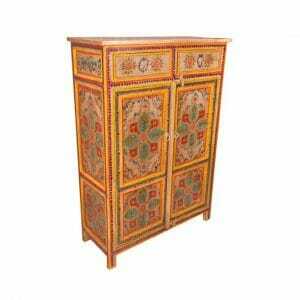 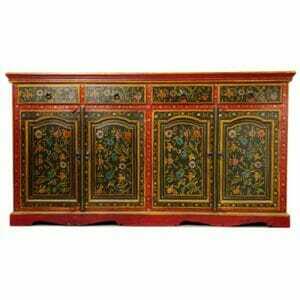 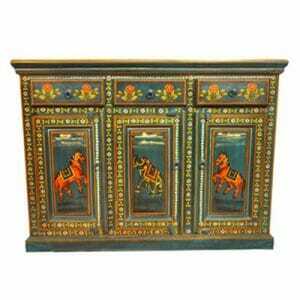 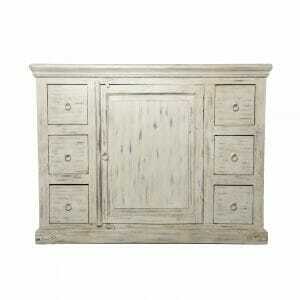 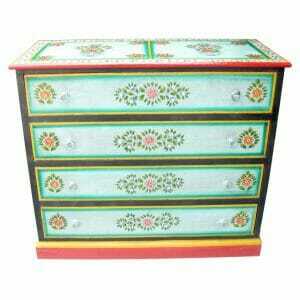 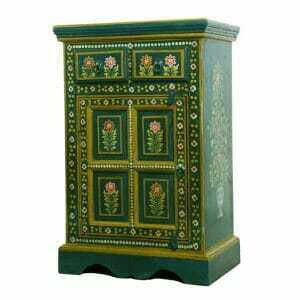 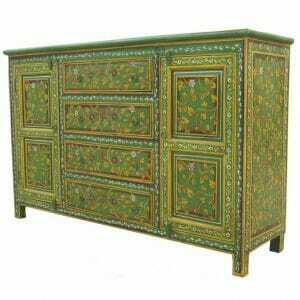 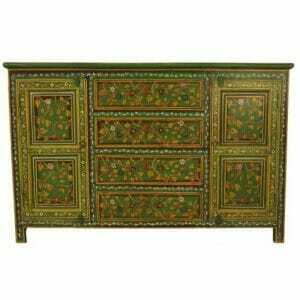 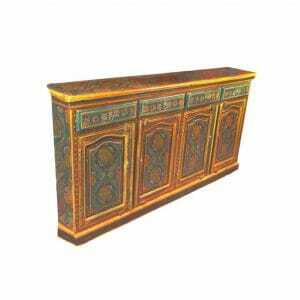 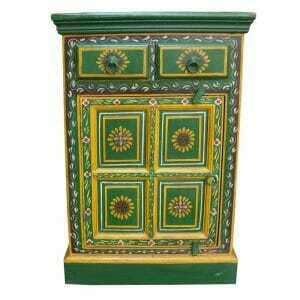 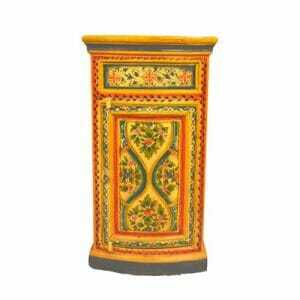 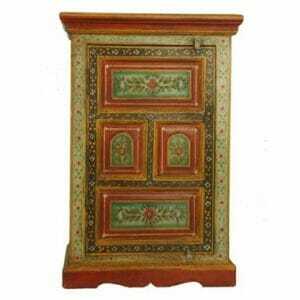 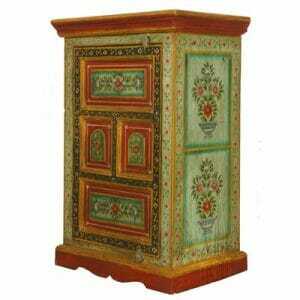 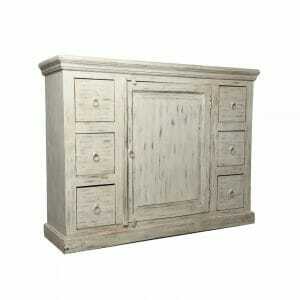 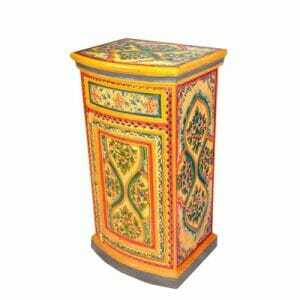 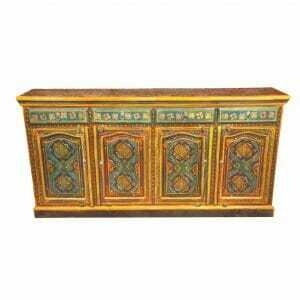 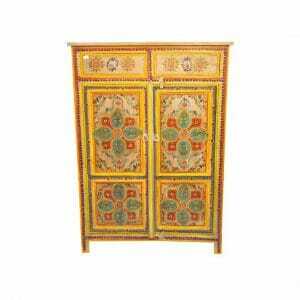 We sell hand-painted Indian wardrobes and other types of furniture that come in a variety of colours and designs. 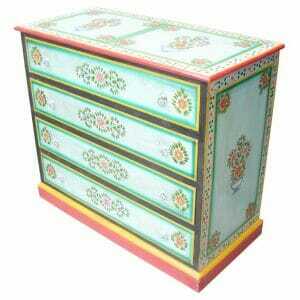 If you have a particular design in mind, please let us know. 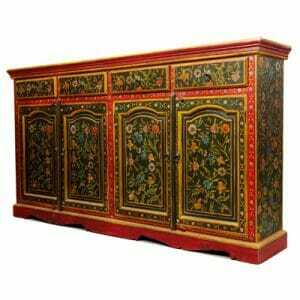 We are always happy to create a bespoke furniture order for our customers, and will work with your specifications to come up with the perfect piece of furniture for you. 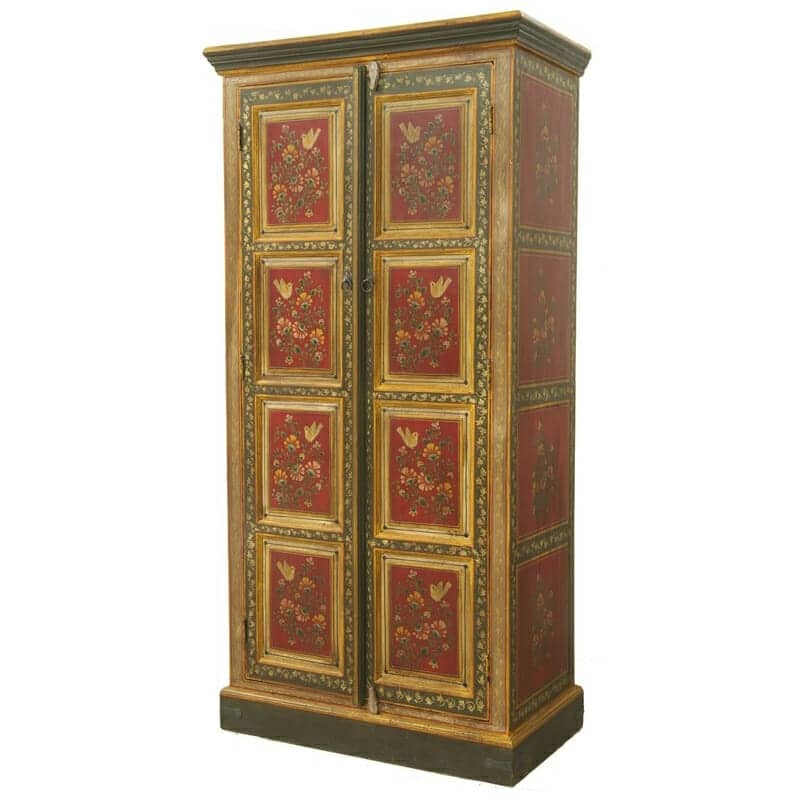 At Iris Furnishing, we are especially proud of our fair trade policy and our ethical standards, work hard to ensure that our suppliers and craftsmen always get a great deal. 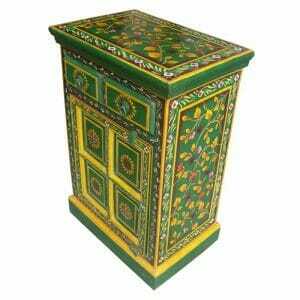 To ensure these standards, we visit northern India throughout the year. This also enables us to guarantee that we only bring home furniture of the highest quality.